An economic estimation of a network of distributed energy resources (DERs) forming a power delivery system in an Indian scenario has been made. The mathematical analysis is based on the application of real valued cultural algorithm (RVCA). The RVCA-evaluated total annual cost for power delivery networks has been obtained utilizing both solar and fuel cells as DERs along with a battery energy storage system. The analyses for optimal power operation pertaining to minimum cost have been made by considering two cases in Indian power delivery system. The first case deals with the consumers’ individual optimal operation of DERs, while in the second one, the consumers form a microgrid with the optimal supply of power from DERs. The total annual costs for these two cases are found to be economically competitive and encouraging in the context of supplying reliable power to a small locality. A reduction of approximately 4.3% in the annual cost has been obtained in the case of microgid system than that in the separately operating consumers’ system for a small locality of India. It is observed that the application of RVCA in power optimization results in a reduction of total cost depicting an improved outcome in terms of energy economy. Nowadays, most of the conventional energy resources in centralized power providing schemes are facing high pressure of environmental protection. Consequently centralized electricity supply services are shifting towards the newly developing technology of dispersed systems, known as distributed energy resources (DERs). DERs or distributed generators (DG) are usually located close to energy loads and efficiently distribute energy with minimum losses. The DERs play a key role in reducing environmental pollution through utilization of non-conventional and renewable energy sources such as fuel cells and solar panels. A number of works (Lasserter, 2002; Hernandez-Aramburo & Green, 2005; Marnay & Venkataramanan, 2008; Petra & Bouwmans, 2006; Maribua & Marnay, 2007; Zhenhua & Dougal, 2008) relating to the design and operation of DERs are available in the literature, but ample attention has not yet been paid to the economic issues associated with DERs. To overcome the power control, protection and distribution difficulties in a conventional power delivery system, the concept of microgrid has come up as a new electricity delivery system (Lasserter, 2002; Colson & Nehrir, 2009). Possibilities of developing microgrid with DERs have been discussed in the literature (Patterson & Whitham, 1998; Watson & Fredericksen, 2001; Marin & Rey, 2002). Though the technical issues of microgrid have been dealt by several researchers (Marin & Rey, 2002; Marnay & Siddiqui, 2001; Meliopoulos, 2002), but the economic estimation of these newly built microgrids has not yet been sufficiently dealt and standardized. Zoka et al. 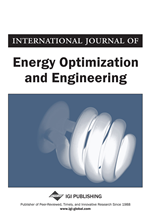 (2007) presented a technique of minimizing the total cost of a microgrid energy delivery system by optimal operation planning of DERs. Though their method provided a precise solution, it could not take into account issues such as imprecision, partial truth, uncertainty, and approximation which are essential to achieve tractability, robustness, ease of implementation and low solution cost. In order to arrive at a solution that incorporates all these issues, it is apparent that soft computing techniques could be of more beneficial and adaptive in nature. Applications of different evolutionary methods on economic load dispatch and load scheduling problems are available in literature (Miranda, Srinivasan, & Proenca, 1998; Farhat & EI-Hawary, 2009; Basu & Chakraborty, 2009; Chen-Ching & Dillon, 1992; AlRashidi & Hawary, 2009; Sun & Lu, 2010; Hedman et al., 2010). However evolutionary approach in the analysis of energy economy for a micro grid system with different frame works of energy delivery resources has hardly been found in the literature. Among many evolutionary techniques, cultural algorithm (Reynolds, 1994) is a high level searching technique. Cultural Algorithms support an additional mechanism for information extraction during the execution of the algorithm, avoiding the need to encode the information apriori. It reduces the need for every individual to waste energy for acquiring domain or constraint knowledge by bypassing trial and error iterations. By adding domain knowledge, it provides a mechanism that can extract knowledge from the problem during the evolutionary process and thus accelerate its convergence. This process of extraction and use of the information has been shown to be very effective in decreasing computational cost while approximating global optima, in unconstrained, constrained and dynamic optimization (Reynolds & Michalewicz, 1995). However, application of such techniques to optimal operation of DERs resulting in cost minimization is sparse in the literature. The present paper depicts an economic evaluation of a microgrid power delivery network through optimal power operation planning of DERs for different cases of Indian load demand scenario by the application of a Real Valued Cultural Algorithm.